The Coconino County Republican Committee and Chairman Jeff Oravits cordially invite you to the Lincoln Day Dinner with Keynote Speaker Governor Doug Ducey. Includes seat at event plus meal. Also payable by personal check (no business checks) made out to C.C.R.C. 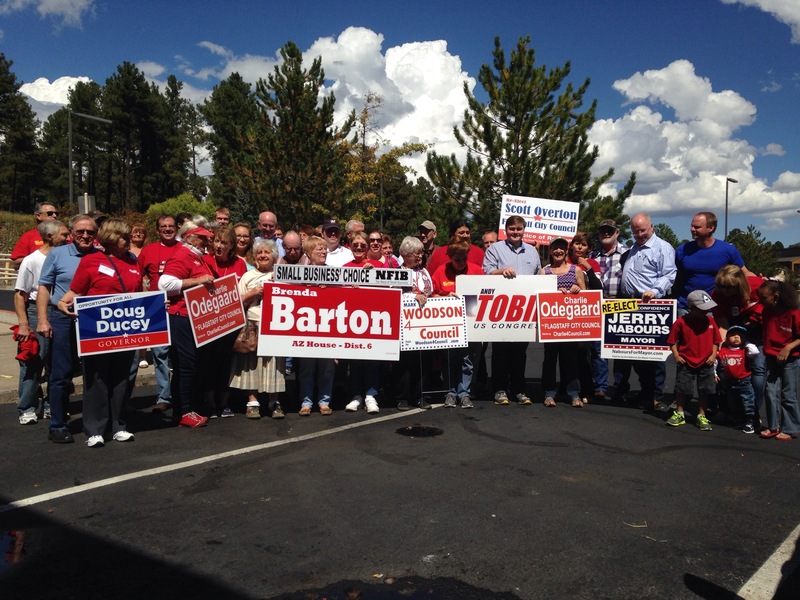 So excited to see so many motivated volunteers out and about in Flagstaff today! Thanks to Speaker Andy Tobin, Rep Barton, Mayor Nabours, Councilman Overton, Councilman Woodson and Charlie Odegaard. It’s Saturday and volunteers are all around Flagstaff talking to voters and handing out literature. The Flagstaff City Council and Mayors race is one of the most important Flagstaff has faced in decades. We encourage everyone to re-elect Mayor JERRY NABOURS and elect to Council CHARLIE ODEGAARD. Let’s also re-elect SCOTT OVERTON and MARK WOODSON. 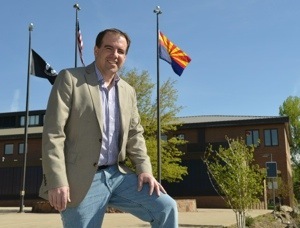 Join Charlie Odegaard, candidate for Flagstaff City Council today from 4:30-5:30PM at the corner of Rt. 66 and 4th. St for a sign rally. Upcoming Flagstaff City Council & Mayoral Forums. LOCATION; Coconino Center For Arts, 2300 N. Ft Valley Rd. LOCATION; Little America, 2515 E Butler Ave. LOCATION; 2300 N. Ft Valley Rd. Who is most likely to create jobs in Flagstaff? Those that have actually created jobs or those that only have theories on how to create jobs?